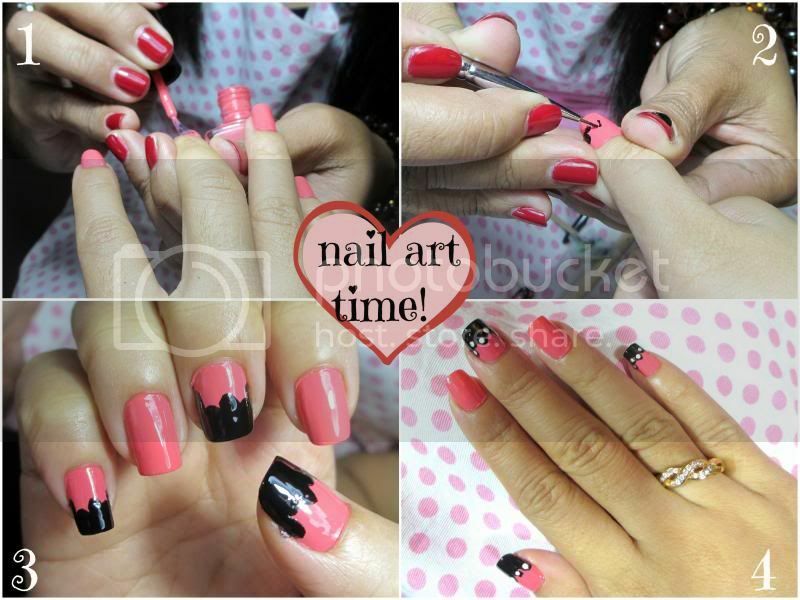 Real Asian Beauty: My Pretty Nails Salon Nail Art and Spa Day! My Pretty Nails Salon Nail Art and Spa Day! Everyone knows I'm a nail polish and nail art freak. I like seeing my nails in different colors and painted in cute prints and designs. But sometimes, I get too busy that painting my nails almost becomes a luxury. 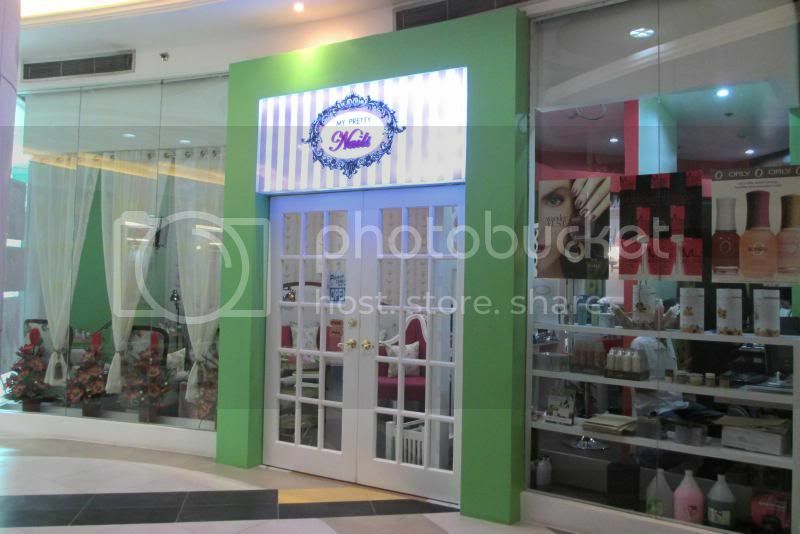 My Pretty Nails Salon is located at Soho Central Condominuim, Greenfield in Mandaluyong. 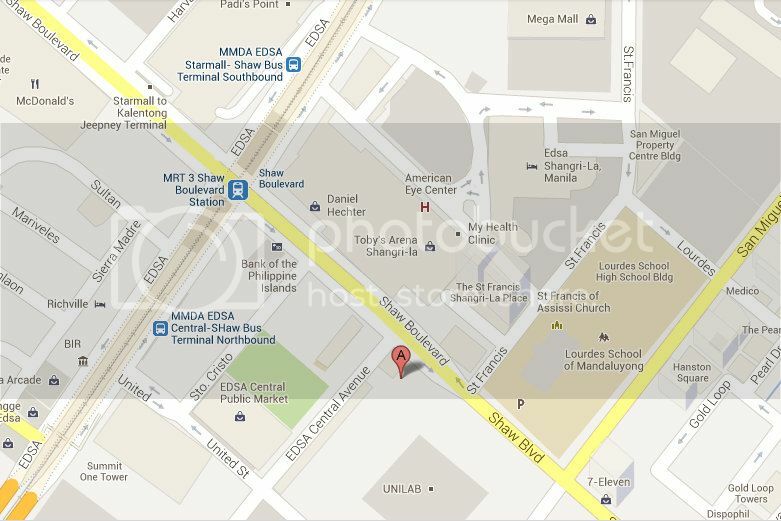 Landmark is Shaw MRT Station. *I'm sorry for the low quality photos. I had to run to work after going to the salon so I didn't bring my dslr. And, bam! The interior looks even prettier! 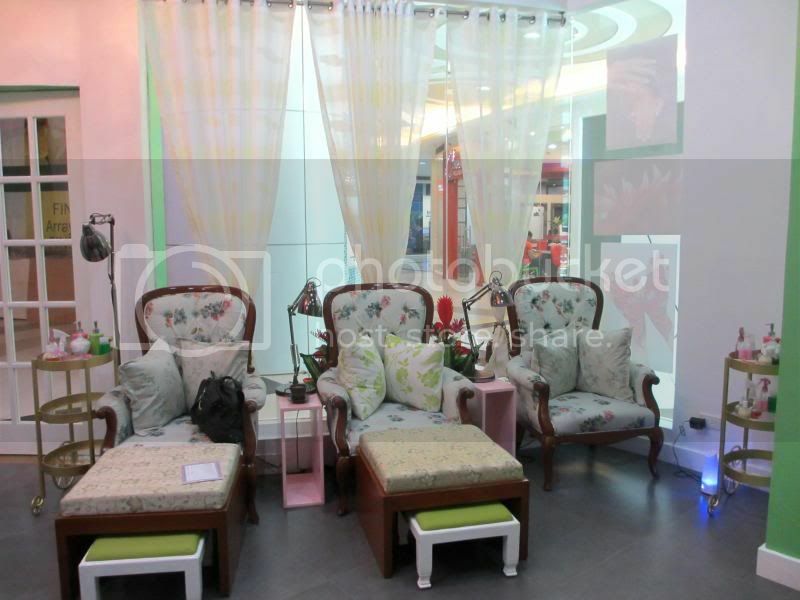 My Pretty Nail's Victorian-inspired nail salon provides a relaxing atmosphere to clients having their manicure, pedicure or spa. 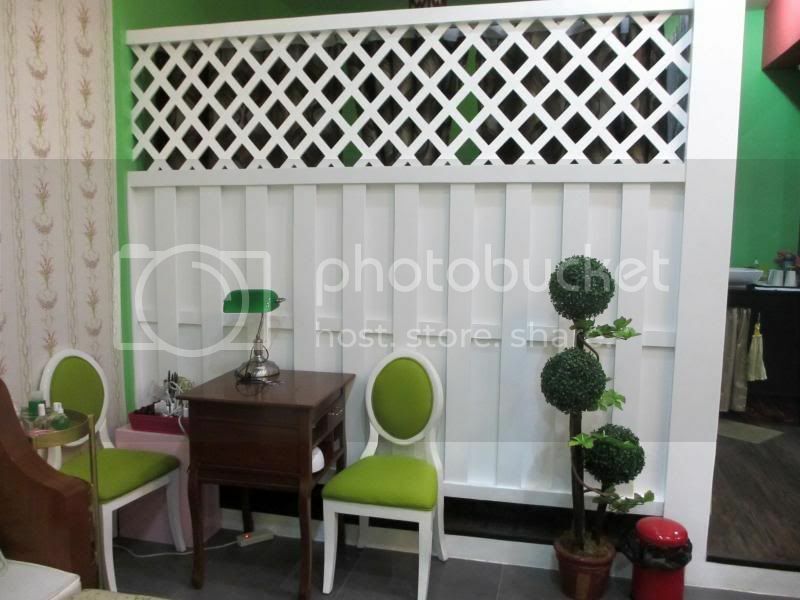 With their complimentary services, clients will surely enjoy their choice of organic treatments in cozy Victorian chairs. So pretty! This is my 2nd favorite area in the salon! It looks so fresh and garden-ish. Pretty chandelier! 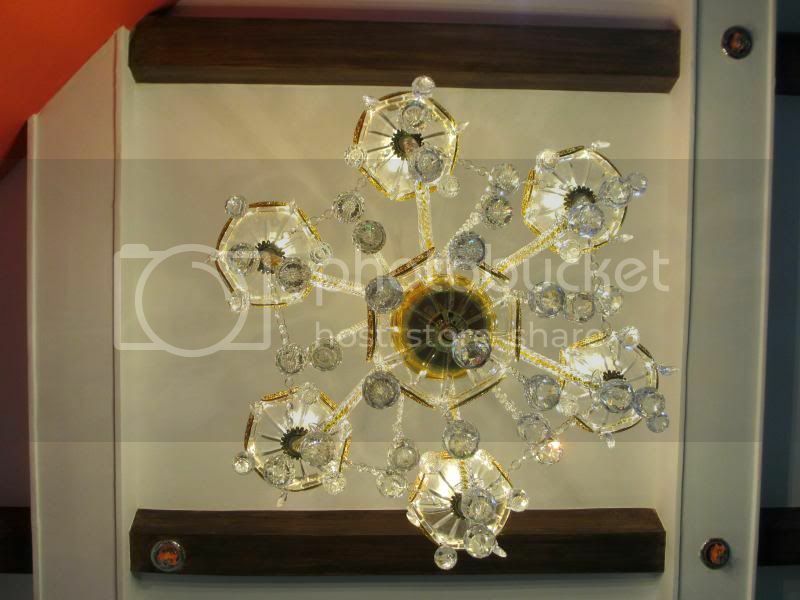 I really want to have a fancy-looking chandelier in my room! It looks so classy! 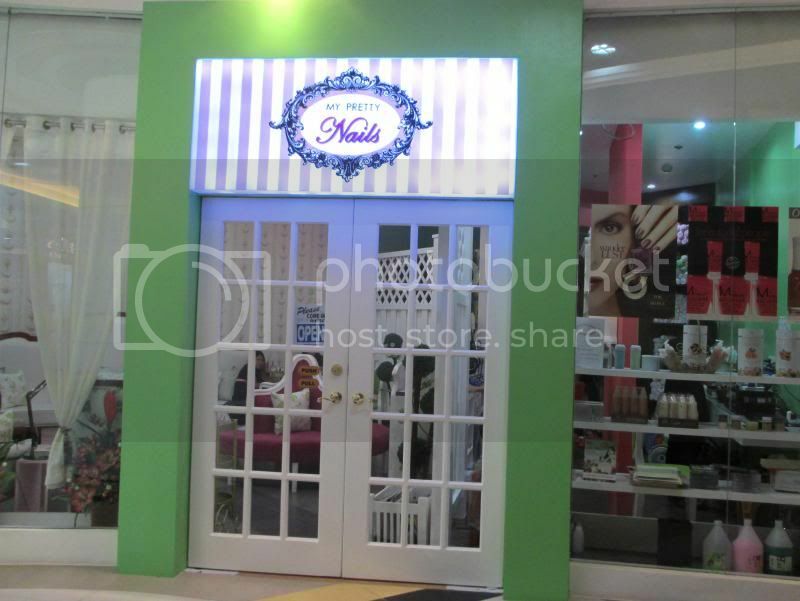 My Pretty Nails Salon opened in April 2013, just a few months ago. Since it's Summer and to celebrate their salon opening, they are giving customers a very good deal! As if their prices are not jaw-dropping yet! Now this is my FAVORITE area in the salon! The nail polish cabinet! Not just ordinary polishes but high-end polishes, you guys! Name it! OPI, China Glaze, Orly, Spa Ritual and so much more. 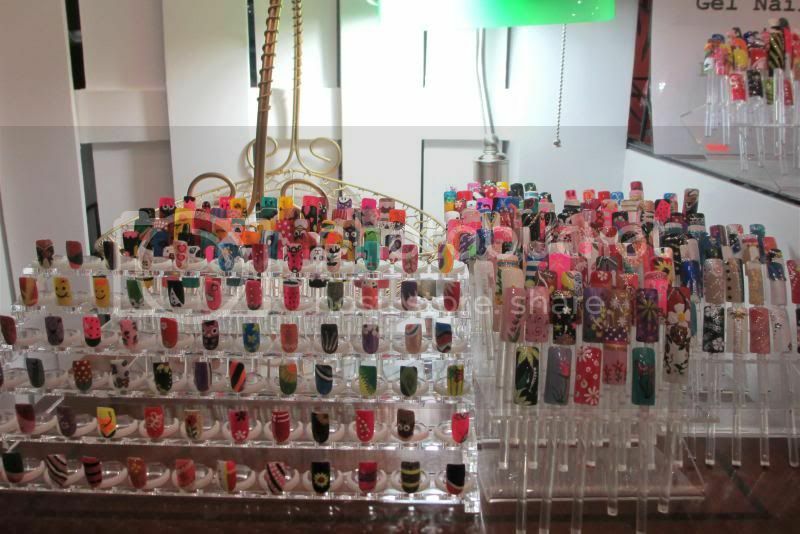 The owner told me they're even expanding their collections and planning to add some Deborah Lippman and so much more! Swatches and nail color wheels to make it even harder for you to choose what you want on your nails because all the colors are so pretty! My Pretty Nail's tools are so girly, not to mention neat! For the nail buffers, pushers and brushes, they provide a disposable kit for each customer. So you don't need to worry about contamination and germs because what they'll use on your nails are clean, fresh and new. Nails are first soaked in warm water with soap crystals and some oil to soften cuticle for easier cleaning later. Same goes for the feet. I also had relaxing hand and foot spa. I had dark chocolate scrub for my arms and then milk and honey spa for my feet. Smells so good, especially the dark chocolate! You guys like Nutella? Yup, smells like that! Now let's get to my favorite part of the salon experience, the NAIL ART! My Pretty Black and Pink nails! Now you may be wondering why I only had 3 painted nails on each hand? I was actually running late for work! lol! So I just told my manicurist to do some nails as the accent and leave the others in plain color. It would have been so much nicer if all the nails were painted the same! Nonetheless, my nails still look so pretty! Oh, they used high-end polishes to do this. They actually use high-end polishes for all the manicure and nail art. Which is really good, especially if you are brand conscious when it comes to polishes. I know some salons that will charge you additional P100 bucks or more if you want them to use expensive polishes rather than the local ones. Boo! My Pretty Nails always uses high-end polishes, that's a win! 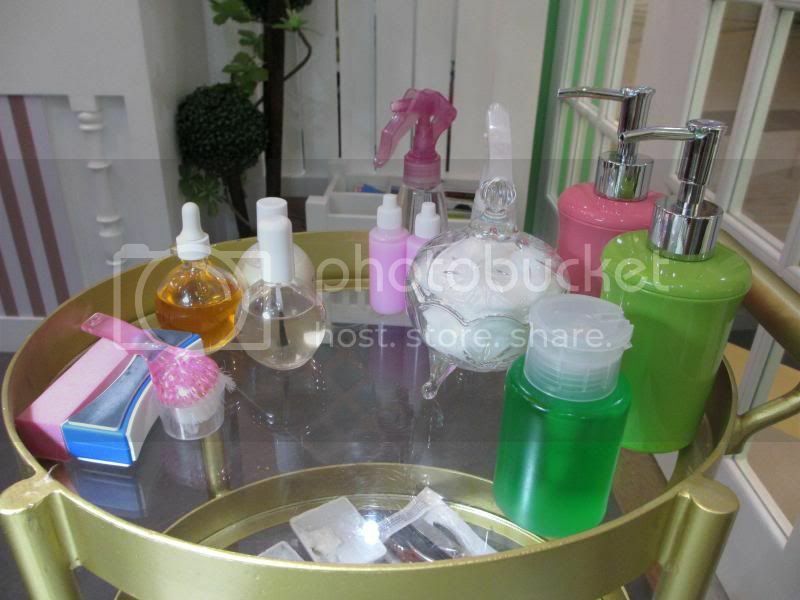 I'm going back to try the gel nail art, body waxing and their massage! 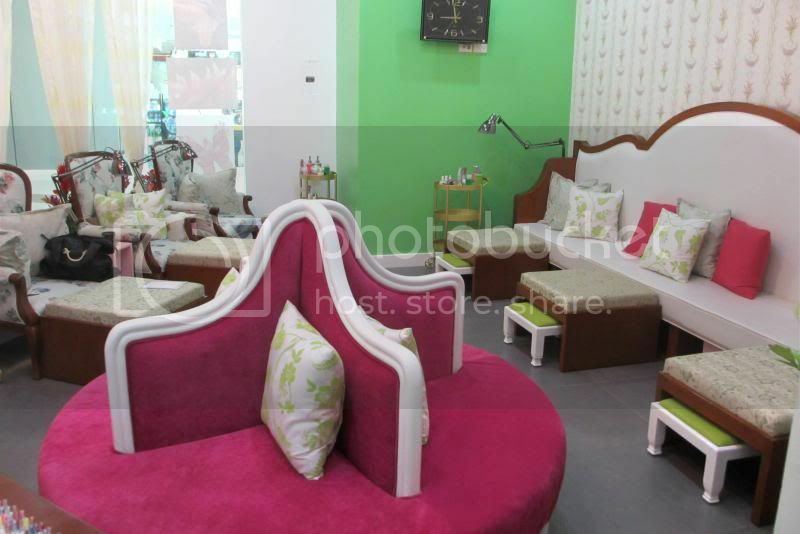 If you are looking for a pretty, relaxing and definitely inexpensive nail and spa salon around the metro, you should definitely try it at My Pretty Nails! It's a plus point that the salon is soo easy to find, take MRT, get off and you're there!  For more promos and to be updated with My Pretty Nails, like them on Facebook facebook.com/My-Pretty-Nails-Salon!